DALLAS, TX -- The Texas Republican Party considered a platform Friday that would soften support of widely rebuked "reparative therapy" for gays while still preserving some of the toughest anti-gay language on any party plank in the U.S. The new platform also would oppose bathroom rights for transgender persons - an unsurprising move after the state's Republican lieutenant governor said Friday that Texas is ready to forfeit billions of federal dollars rather than comply with a new Obama administrative directive on transgender rights in public schools. The Texas GOP came under national backlash in 2014 after endorsing psychological treatment that seeks to turn gay people straight. The American Psychological Association condemns such counseling, and New Jersey Republican Gov. Chris Christie signed a law banning it for minors. Gays should still have access to "sexual orientation change efforts for self-motivated youth and adults," according to language that nearly 4,000 delegates were voting on Friday. But gone is fiercely contested wording in which the party currently recognizes the "legitimacy and efficacy" of the counseling "for those patients seeking healing and wholeness from their homosexual lifestyle." Rudy Oeftering, leader of a gay Republican group in Dallas, said the rewording is a victory since the language no longer explicitly endorses the therapy as legitimate or effective. "I can't really argue. It says if you want to try it, knock yourself out," Oeftering said. "I don't think it's going to work, but go for it." Other decades-old, anti-gay language in the Texas GOP platform remains. Homosexuality is still described as a "chosen behavior" that "must not be presented as an acceptable alternative lifestyle." A push to strike that wording was only narrowly defeated by a handful of votes this week. The Texas Republican Convention has long been unfriendly territory for gays, but Oeftering said this is the most welcome he has ever felt. 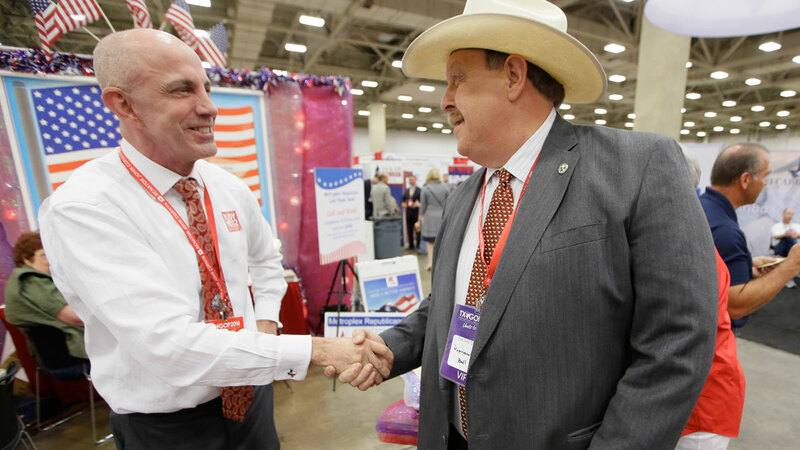 The party allowed an openly gay organization a booth on the convention floor for the first time this year, and before the convention ends Saturday, Oeftering will campaign to become the Texas GOP's first openly gay delegate at the national convention.